Micro Focus Partners are a key part of our ability to be successful in the market. One example of that is our newly announced Micro Focus Partner Program that has just been rated by CRN’s Partner Program Guide evaluation as a 5-Star winner. Via our program, partners like DXC have an opportunity to generate more predictable profitability to grow and expand their businesses. As such, DXC is being awarded for their overall ADM Collaboration that has shown substantial growth in the customer base by driving new revenue growth. 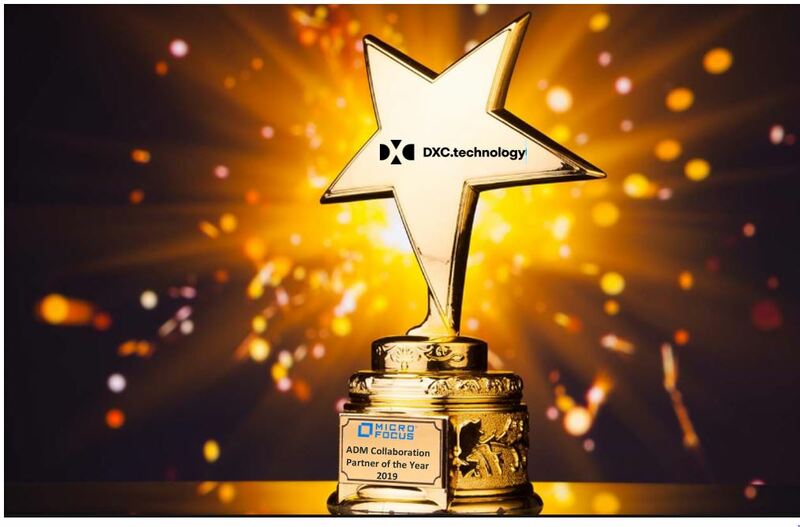 DXC demonstrated effective engagement with their Micro Focus ADM team, along with innovation, competitive differentiation, and customer value and satisfaction, which lead to this award selection. As a Micro Focus Alliance Partner, DXC is one of the world’s leading independent, end-to-end IT services companies. DXC Technology leads digital transformations for clients by modernizing and integrating their mainstream IT, and by deploying digital solutions at scale to produce better business outcomes. DXC’s technology independence, global talent, and extensive partner network enable 6,000 private and public-sector clients in 70 countries to thrive on change. With some 130,000 employees worldwide, the company’s deep experience gives clients a clear and confident vision to help navigate the future. For more information about our partnership click here. Together DXC and Micro Focus offer a set of “better together” solution for customers to help them in their Digital Transformations. These include Solutions and Services across Cloud Platforms, APP Services, Analytics and Security. Visit our website at www.microfocus.com or find more about our rewarding new partner program here.